Hope you enjoyed day 1 of Blogmas, which was Martha's 'What I got for my birthday'. I am kicking it off with a slightly festive Christmas Wishlist. These are a few things that I've been noticing whilst wondering round the busy shops as it would seem this year is busier than ever with people getting their Christmas shopping done early. I've not quite managed to finish my shopping as of yet but I've made progress. So, here we go. I've needed a coffee table for my living room since I've moved in and I'd been waiting for my sofa to arrive however since there has been a delay and I'm not getting my sofa until end of January - not a happy bunny, it would be totally acceptable to have this on my Christmas Wishlist. 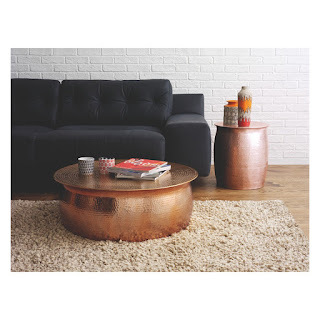 I have a strong love for anything copper so it would really work in my living room. So Chanel is one of my favourite high end brands and I fall in love with everything I see. This year for Christmas I would love the Soliel Tan De Chanel and the Les Volume Des Chanel mascara in Intense Black. 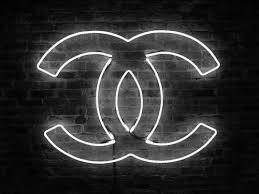 Chanel's make up products are obviously more expensive than usual high street brands but I feel like they are worth it! I legit have a huge love for candles. My two favourites are Diptyque and Neom candles. Whenever I'm in a shop smelling them, I always promise I'll buy one soon but something else becomes my priority! I love the packing and the smell. The only smell I don't love in candles is rose and elderflower but hey you win some, you loose some! 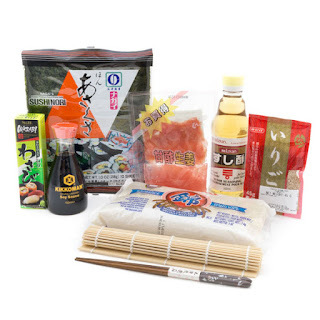 So when I was out and about recently I wondered into the Japan Centre in Piccadilly it was full of so many delightful things I really want to try and all the sushi looked amazing. I wasn't too hungry so I just opted for some Chicken Gyoza and they didn't disappoint. I spotted a sushi making kit and it was right up my street. I tend to have sushi for lunch at least once a week, so I feel like giving it a go at home will be fun and something new to try. So watch this space in the new year, you may see a 'Homemade Sushi' post coming up. So, wanting a coffee table means I would need to invest in some coasters, my living room is full of either Copper or Marble. 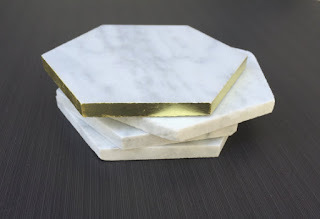 So since I have fallen in love with a copper coffee table I would love marble coasters. I haven't really seen many of these about, so if you do have any suggestions - I would love to hear!! Etsy seems to be the most likely place I could get them from but I haven't done THAT much hunting. Thats all from me for now. See you on the 4th with another new Blogmas post! !